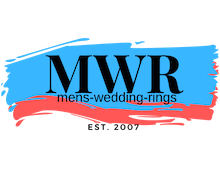 Be bold and daring and choose a non traditional black diamond mens wedding band for your special day. A unique style for a unique couple, we have a multitude of designs to choose from and we are certain to find the perfect style for you. Designed to stand out from the crowd, our diamond rings are the perfect choice to symbolize your love for one another. Our selection features many stunning styles in gold, silver, platinum and white gold with standard or black diamonds, providing a remarkable amount of choice and style. Whilst our selection of wedding bands can be more expensive than other choices, no other ring provides the same amount of class and elegance. Our diamond wedding bands are designed in yellow and white gold and are available with many different types of finishes. Our mens wedding bands with black diamonds not only look fashionable and exude sophistication but are extremely durable and low maintenance. A quick and simple clean and polish every now and then will keep your ring in pristine condition for a lifetime. Nothing says classic style than a simple gold band with an added diamond for extra flourish and style! Whether you prefer a classic look or something more modern and innovative, we’ve got options for everyone. Given the vast range we carry, we are certain to find your perfect style. Committed to delivering the latest style trends and quality you can count on, we pride ourselves on our excellent team of experts, ready to take your call and help you make that all important decision. Don’t hesitate to call us if you need help or have more questions about our mens wedding bands with diamonds, we are happy to help guide you through the journey of choosing your ideal ring today!